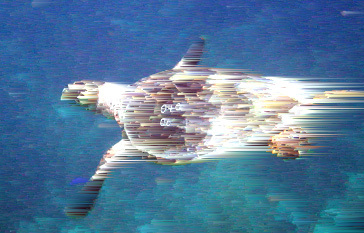 Threats to sea turtles are the direct results of human behavior. Thus, we have the power to turn the tide and save sea turtles from further population decline. Following are 4 immediate actions you can take to help safeguard sea turtle populations around the world. By purchasing and consuming certain types of seafood, you can either support or discourage harmful fishing practices. Make responsible seafood consumption choices by avoiding the more depleted or endangered species. Consult online resources, such as Seafood Choices Alliance or Seafood Watch, for consumer options that are less detrimental to sea turtles. You have the choice to support real estate and tourism developments that take care not to destroy beaches, sand dunes, and mangroves, as well as those that turn off lights in the evening to avoid discouraging sea turtles from nesting. If you own coastal property, find out how to minimize your impact on local wildlife. No matter where you live, Florida Fish & Wildlife's Beach Construction and Lights Guidelines are a resource you can use. 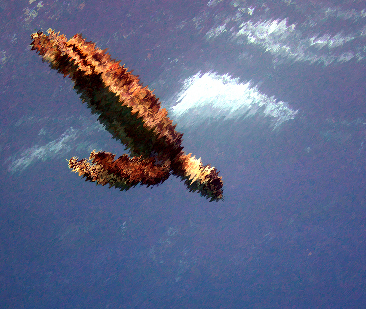 Avoid tortoiseshell trinkets or products made from turtle leather. Sea turtle eggs, meat, oils, and fat do not possess any special medicinal properties, but may contain dangerous levels of toxins such as cadmium and mercury. 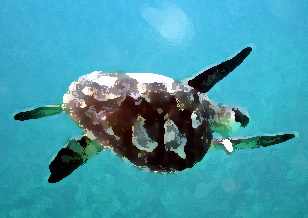 Refer to the TRAFFIC Guide when you travel to know where sea turtle products might be sold. Even if we don't directly place it there, our rubbish often ends up in the oceans. Some of it is carried by wind or in streams and rivers, while other forms of waste are just improperly disposed of. All of it causes damage to ocean wildlife. When disposing of your trash, first recycle as much as you can, and then take care to properly dispose of the rest. To help protect your local waters, join in the annual International Coastal Cleanup on Sept. 16, or organize a cleanup in your area.